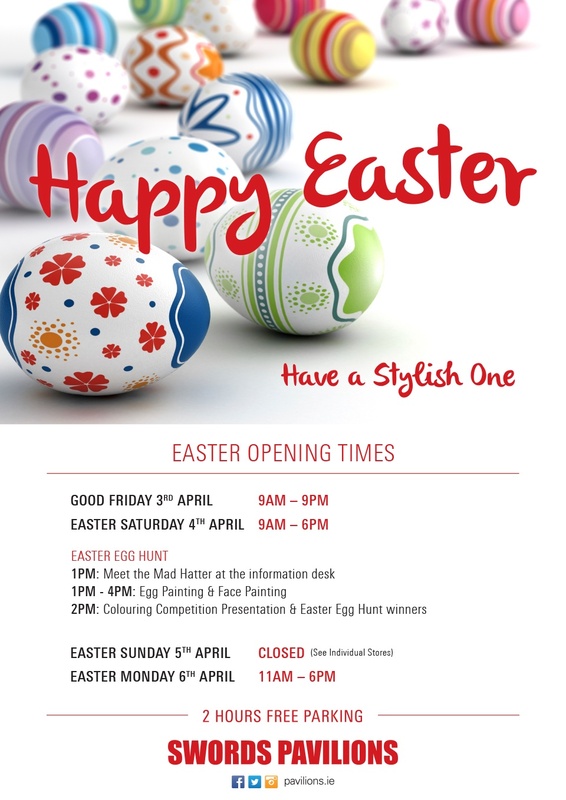 Your favourite Shopping Centres have planned free activities for this Easter Weekend. Have a look at the list below and enjoy a different weekend with entertainment for all the family! Blanchardstown Shopping Centre has set up some great entertainment for the little ones. Special Easter shows will be organised for Saturday and Easter Monday at 12pm, 1pm and 2pm. 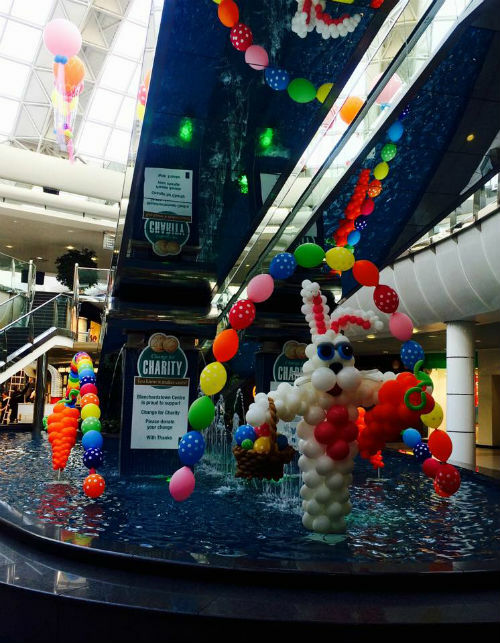 See the colourful hand decorated Eggs and Bunnys which will adorn the malls from March 30th to April 12th. Schools in Cork are competing to win an all expenses paid Day Out in Mahon Point, where one lucky primary school class will receive return transport, a movie of choice and a meal in the Partyzone of the foodcourt. The winner will be announced on Easter Monday via our Facebook page. 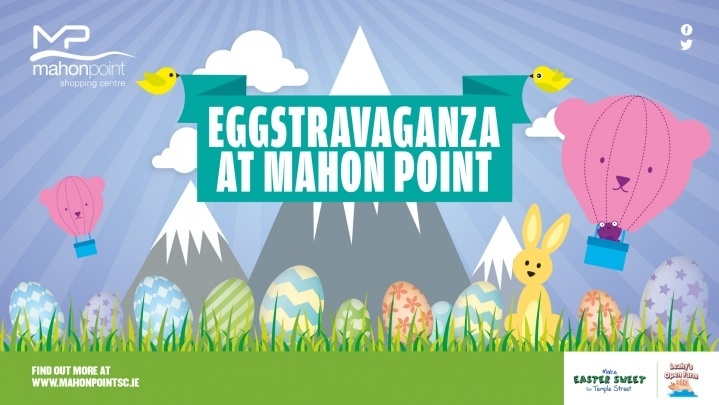 From Thursday to Saturday come and meet the Mahon Point Easter Bunny Plus, we have real bunny rabbits for you to see from Leahy’s Open Farm! Donate €1 for a 10g Lindt Gold Bunny or get an Instant Easter Photo taken by the Lindt Make Easter Sweet photographer in aid of Temple Street! 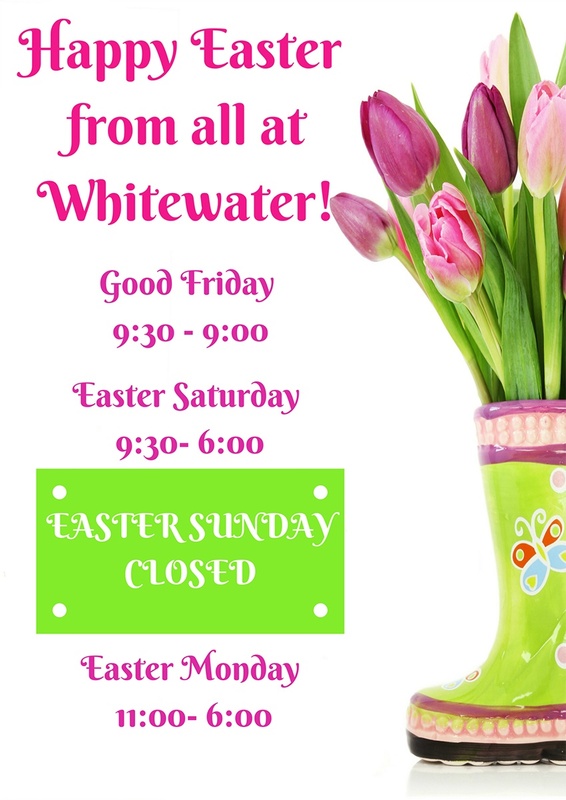 Easter weekend highlights include Saturday April 4th and Monday, April 6th when children’s entertainers will perform throughout Whitewater Shopping Centre. From 1-4pm on Saturday, children can meet the centre mascot Sheldon, the Friendly Turtle and enjoy complimentary face painting. The centre will be closed on Easter Sunday and reopens on Easter Monday at 11am. From 1-4pm, children’s entertainers will be offering free face-painting, together with arts and crafts workshops to all children in Whitewater Shopping Centre. Put a bounce into your little bunny's step this Easter with The Mad Hatter's Easter Egg Hunt on Saturday 4th April in Swords Pavilions. Meet The Mad Hatter at the Information Desk at 1pm and help him to search for the Swords Pavilions Easter Egg. We'll also have Egg Painting and Face Painting from 1pm to 4pm. Pick up a colouring competition entry form from the Information Desk. The Colouring Competition Winners Presentation and Egg Hunt Winners Presentation will take place at 2pm. Lots of fun for all and lots of prizes. 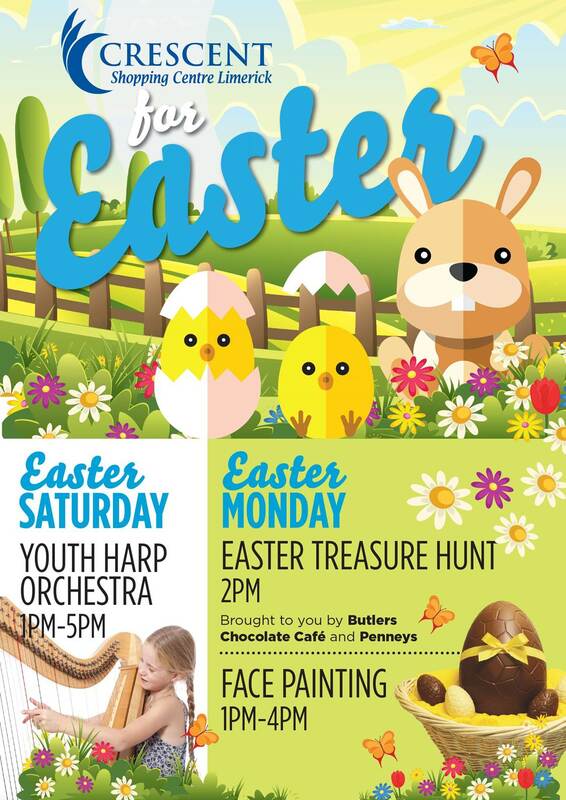 Don’t miss Easter at Crescent Shopping Centre, on Easter Saturday be entertained by the melodic sounds of the Youth Harp Orchestra. 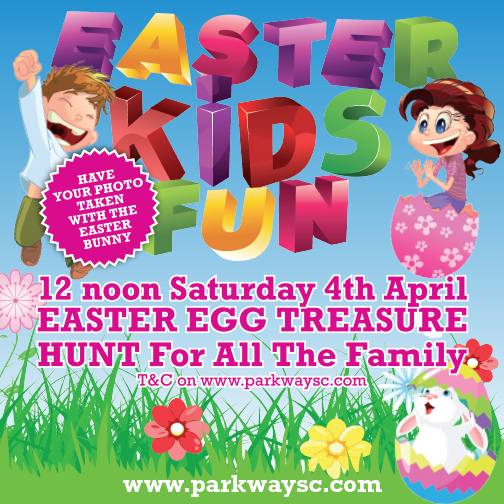 Easter Monday join our Easter Treasure hunt commencing at 2pm from Penneys. Along with collecting chocolate eggs, our good friends at Penneys have donated a number of €20.00 gift vouchers as bonus prizes along the route. A special guest appearance from the Easter Bunny along with face painting will keep the little ones entertained throughout the day. Make a date in your diary for a family day out atc. The whole family can join in our Easter Egg Treasure hunt and meet the Easter Bunny. Best of all, everything is completely free so make sure to pop in and join the fun. There are so many things happening around the country but hopefully this gives you some ideas to entertain the family this Bank Holiday Weekend! We at CPM hope you have a Fantastic Easter!